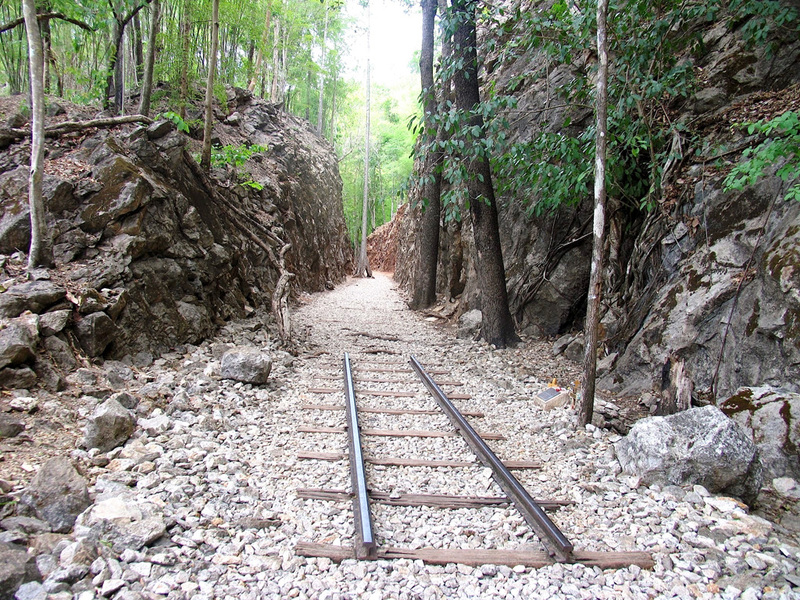 Hell Fire Pass is about 220 km from Bangkok and is a railway cutting that was hacked out of raw rock by Allied Prisoners of war principally Australian during the Second World War. 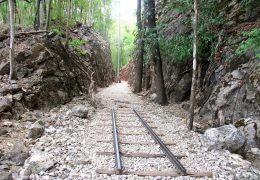 The Japanese wanted this as an essential section of the Death Railway and it was intended to join up with the single line from Burma (Myanmar). 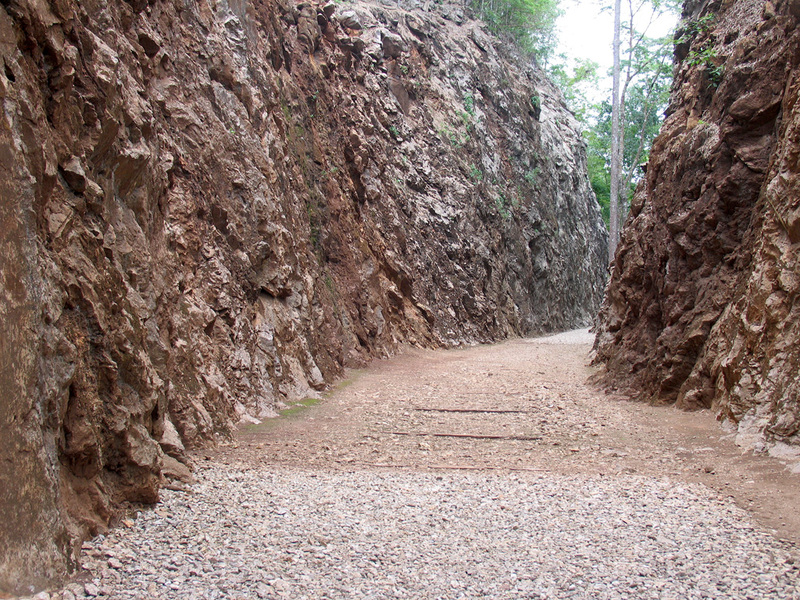 The prisoners named this area Hell Fire Pass; but to the Japanese it was known as “Konyu Cutting”. 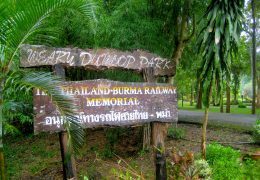 Many prisoners of war and labourers from surrounding countries died here, either at the hands of their captors or from disease, malnutrition or exhaustion. The Hellfire Pass Memorial Museum which was built and is funded by the Australian Government, tells the story of the Thai-Burma Railway, it is both factual and at times shocking. 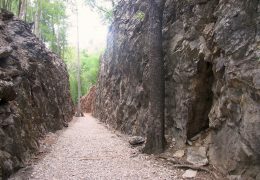 There is a walkway down to the cutting; I do recommend that comfortable footwear (maybe trainer style) be worn as once in the cutting the walk is stony and rocky. 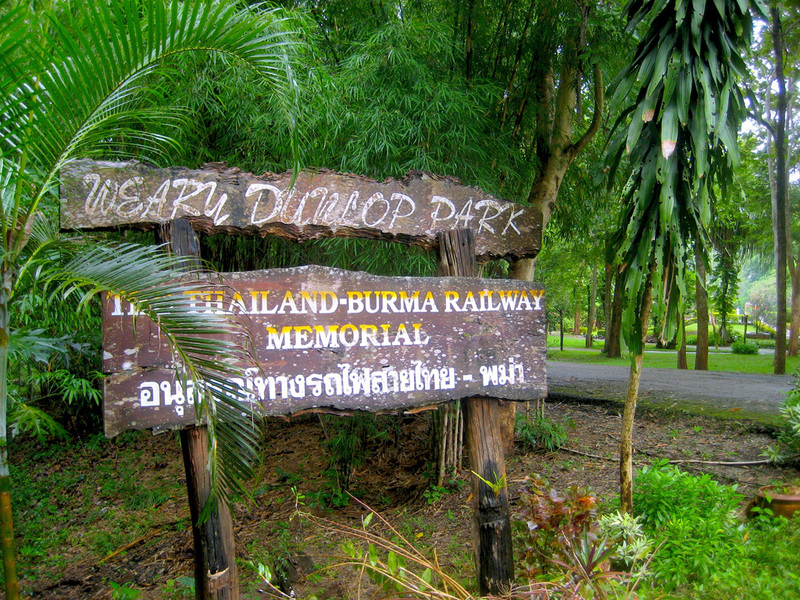 Depart from your Bangkok hotel at around 07:30. 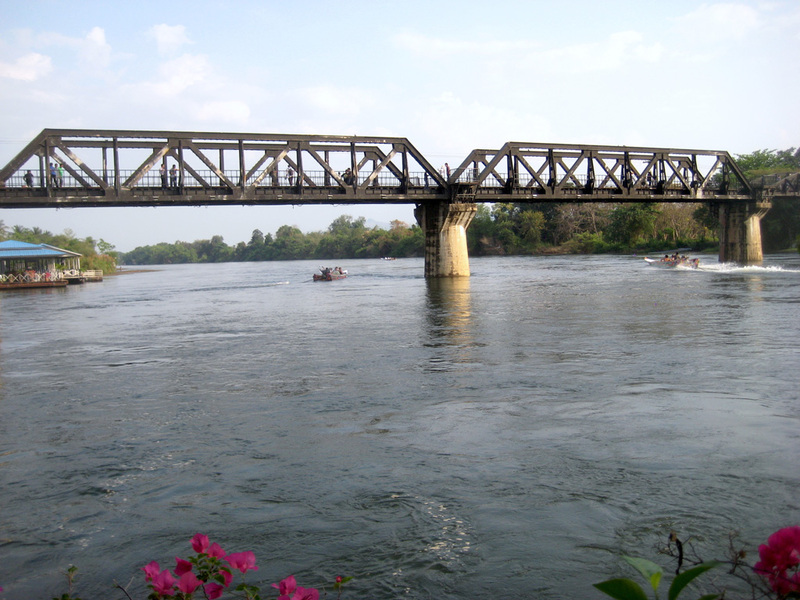 We will then leave Kanchanaburi downtown and travel to the Hell-Fire pass, our approximate journey time is one hour. 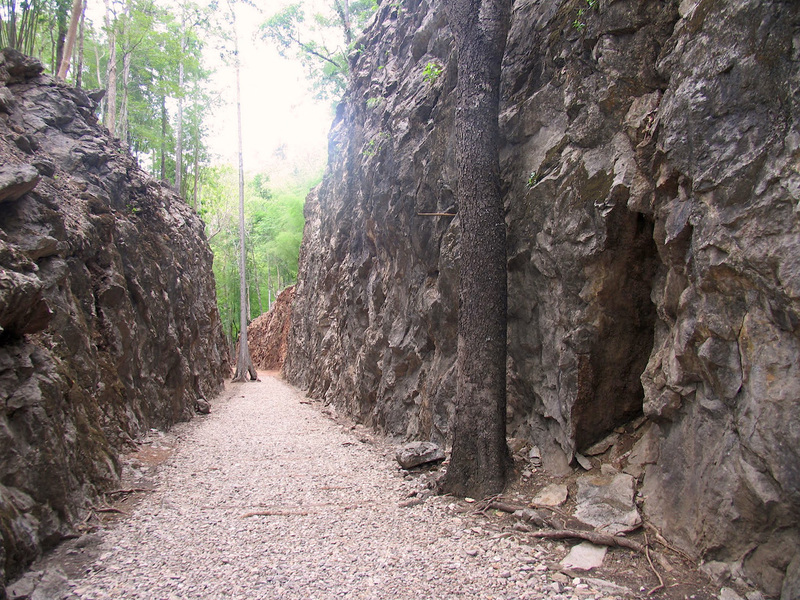 Spend some time at the museum, afterwards walk down to the track and along the cutting. 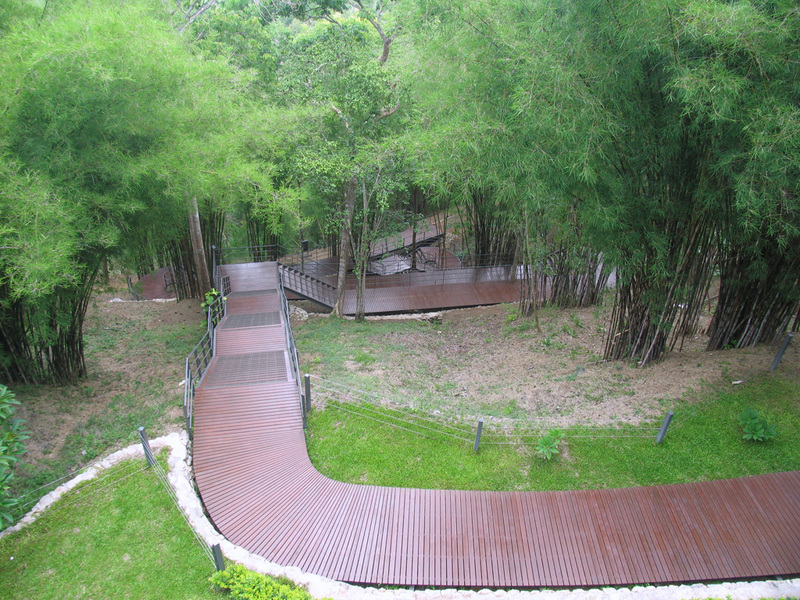 It will then be time for a welcome Lunch Break, after which we will visit Sai Yok Noi Waterfall. 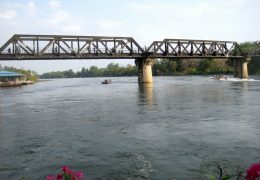 We will leave Sai Yok Noi Waterfall to return to Kanchanaburi for a visit to the world famous River Kwai Bridge. 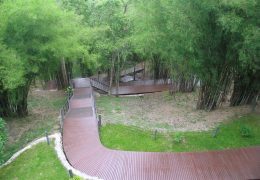 Here we can walk the Bridge and take some photographs. 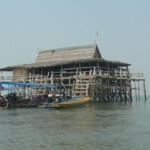 Return to Bangkok arriving around 19:00, (depending on traffic conditions and if any additional extensions have been taken). 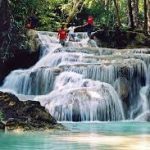 After we leave Sai Yok Noi Waterfall we could take a scenic Long Tail Ride along the river. 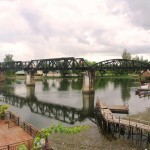 Take a Long Tail Boat ride at the Bridge on the River Kwai. Extensions when selected, please ask me for cost of extensions before booking.